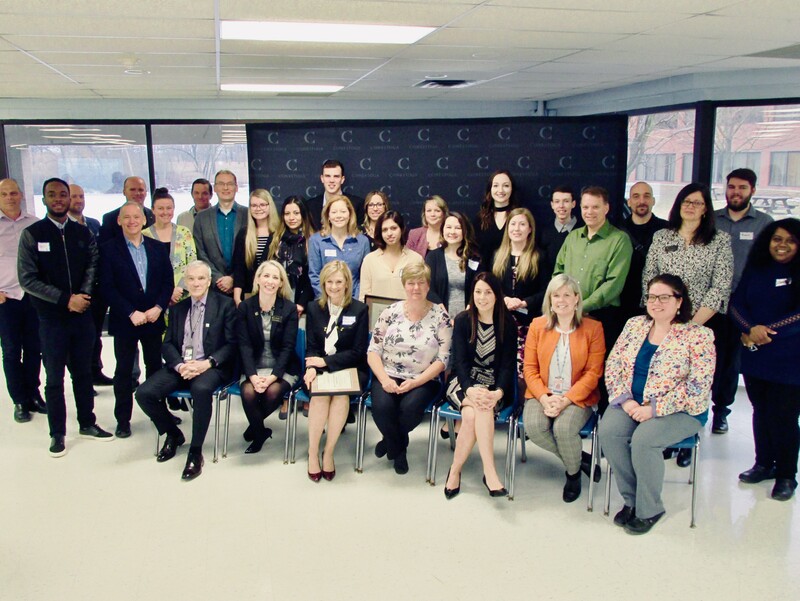 On March 21, Conestoga’s outstanding employer partners and co-op students were honoured at the annual Employer Recognition awards breakfast at the Doon campus in celebration of National Co-op and Work-Integrated Learning Week. Conestoga’s outstanding employer partners and co-op students were honoured at the annual Employer Recognition awards breakfast on March 21. Hosted by the Career Centre, Co-operative Education, Work-Integrated Learning Support Services, and Corporate Training, the event recognized local employers who were presented with awards for their support of Conestoga’s programs, students and clients. Conestoga’s Co-op Students of the Year were also announced. Through their programs, nearly 70 per cent of Conestoga students have access to work-integrated learning experiences which provide relevant hands-on learning in support of students’ education and future careers. More than 50 Conestoga programs offer a co-op component, resulting in over 2,000 co-op work terms annually. Conestoga is just one of two colleges in the province to offer accredited co-op programs. Visit the college’s website for more information about Co-operative Education, Conestoga's Career Centre and Corporate Training.